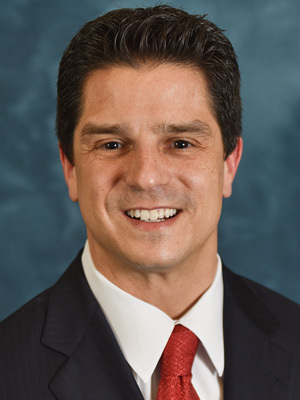 Dr. Crivello is an orthopaedic surgeon with advanced specialty training in hand, upper extremity and microvascular surgery. Dr. Crivello was born in New Brunswick, New Jersey and grew up on Long Island, New York. He attended the University of Pennsylvania in Philadelphia, receiving a B.A. in International Relations, with a minor in Chemistry. Prior to attending medical school he taught Chemistry at Cathedral High School in New York City. He graduated from Boston University School of Medicine where he was involved with scientific and clinical research with the Departments of General and Orthopaedic Surgery. Dr. Crivello completed his internship and residency at St. Luke’s-Roosevelt Hospital Center in New York City. In addition to the time spent at St. Luke’s and Roosevelt Hospitals, where he received training from the esteemed CV Starr Hand Center, Dr. Crivello also served at Memorial Sloan Kettering for orthopaedic oncology and A.I. DuPont Hospital for Children for pediatric orthopaedic care. He continued to be involved with research during residency – with publications and presentations at national meetings – as well as book chapters and multimedia educational tools. Dr. Crivello completed advanced fellowship training at the Hospital for Special Surgery in New York City in Hand, Upper Extremity and Microvascular Surgery. During that time he helped to care for players from the New York Mets, New York Giants, New Jersey Nets, as well as professional and Division I collegiate athletes from a number of different sports. He resides in Princeton, New Jersey with his wife and 3 children. "I cannot say enough GREAT things about Mercer-Bucks Orthopaedics located in Hamilton. Dr. Keith Crivello is an EXCELLENT Dr. that I would highly recommend to anyone that needed his services. Very polite, professional and caring. He explains everything in detail in a way you can understand. The physical therapy department is wonderful. Frank Moceri, LPT I had was wonderful. He explained the reason for everything that I had to do and he was very professional and caring. The receptionist was so friendly and professional. She was truly a delight. I want to Thank everyone I was involved with at Mercer-Bucks Orthopaedics for being so professional, kind, and caring. What a GREAT group of people." "Dr. Keith was excellent. Explained situation/progress/etc thoroughly. Did not push medications to my delight! Asset to your practice! As was..Nicole Hunter who was excellent in her therapy! Still seeing more improvement in the motion/activity of my wrist and arm. Therapy definitely helped! Thoroughly satisfied w/Mercer Bucks Ortho! Tks but hope I don't have to return!!"